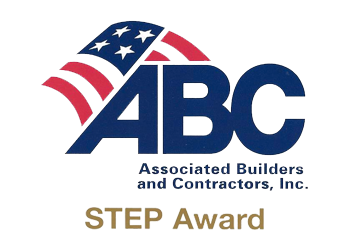 Earlier this year, MK Marlow was awarded the Gold Level STEP Award in recognition of ongoing efforts and development in their quality and safety program. MK Marlow has proven to have a low level of on site accidents as proven by their Experience Modifier Rating (EMR). “Safety is important to our business. We want our employees to be happy and healthy on the job. A safe work environment also translates into lower costs for our clients,” explains, Mark Marlow, CEO, MK Marlow. The Safety Training Evaluation Process (STEP) Award, is given to companies who demonstrate continued investment in employee training, and mastering of skills to function in a safe work environments.